We recently visited the geographical center of the United States in north central Kansas. 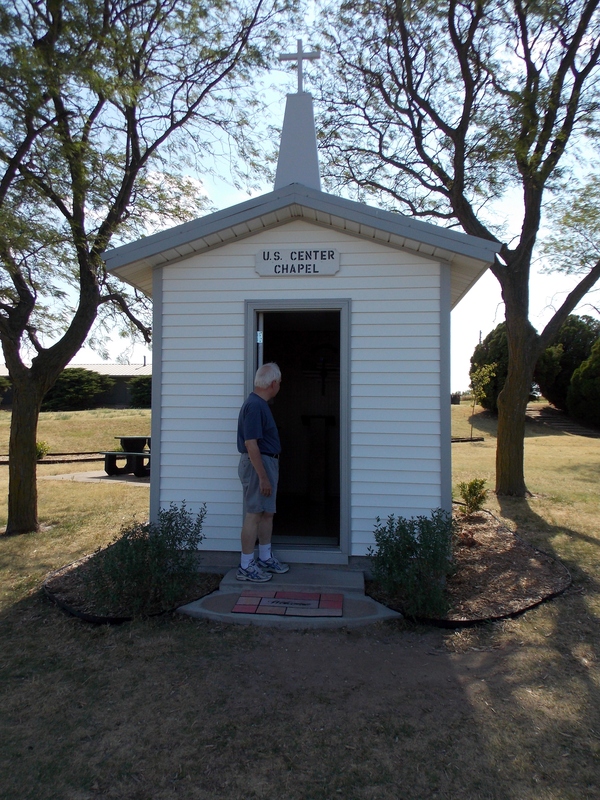 Along with a monument and a flag, something you’d expect, we found a tiny chapel. This is the inside of the chapel. Note meditational/prayer booklets in the rack on the left. The outside looked like this. Inside and Outside are certainly relevant to the culture one is in! 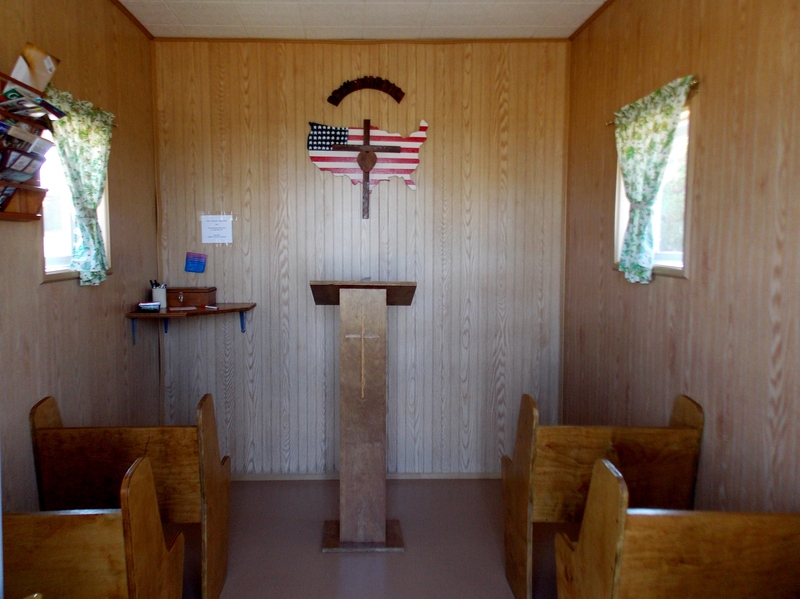 We’ve seen churches of one sort or another, cathedrals to chapels, across the country and in many parts of the world, but this is definitely a Kansas prairie chapel. No need for very many at one time. Seating limited to eight. Thanks! That means a lot coming from your eye. I appreciate the clean, easy lines and emphasis on prayers for USA. Thanks for always commenting, Valorie, even when I get lost in the replies! I also really liked the outside.